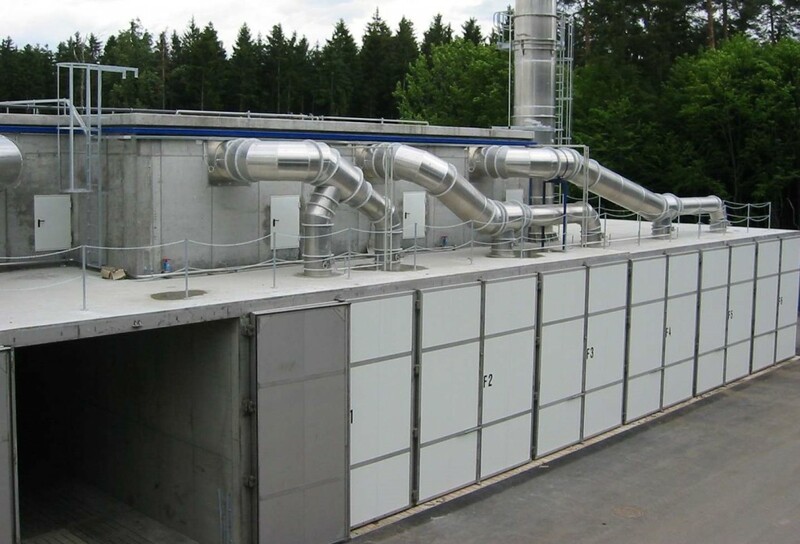 Mechanical biological treatment (MBT) system is a type of waste processing plant which combines a segregation facility with biological treatment under aerobic and/ or anaerobic conditions. MBT plants are designed by Vtormat Engineering to process municipal, commercial and industrial wastes. MBT plants offer the possibility to recover materials contained within mixed waste and facilitate the stabilization of the biodegradable fraction of waste. The mechanical component of the MBT plant usually use similar process as materials recovery facility (MRF). Regular roles of this component include waste dispersing into smaller parts to recover the recyclable fraction from waste. For the biological component, micro-organisms operating under either aerobic or anaerobic are utilized to break down the biodegradable component of the waste. Usable by-products such as biogas and compost could be extracted depending on the process. The biogas can be used to generate electricity and heat while the compost used as a soil improver. Vtormat Engineering design the overall process to obtain best functionality, cost-efficiency, easy maintenance, safety and environmental friendliness. In addition, with its largely automated operations are needed minimum workforces.